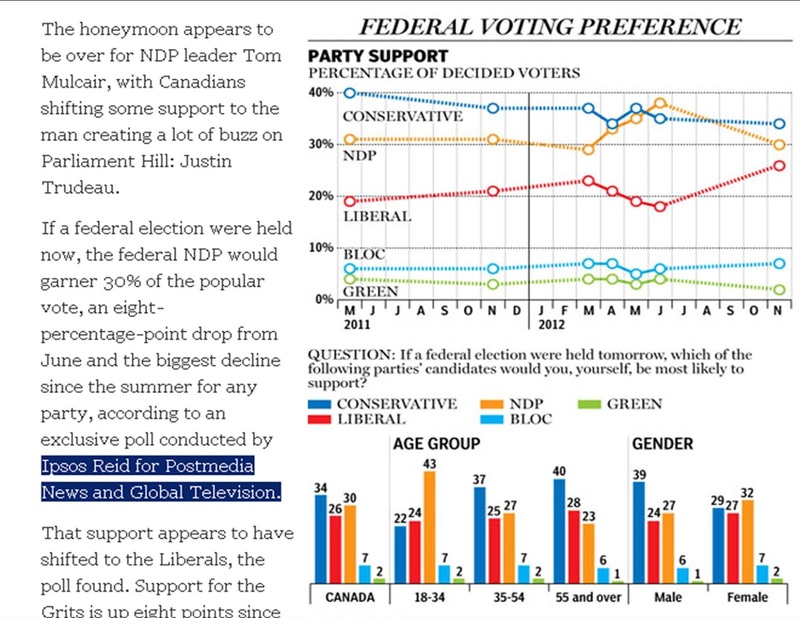 POLEMIC & PARADOX: TRUDEAU MANIA!!!! Ipsos Reid for Postmedia News and Global Television. 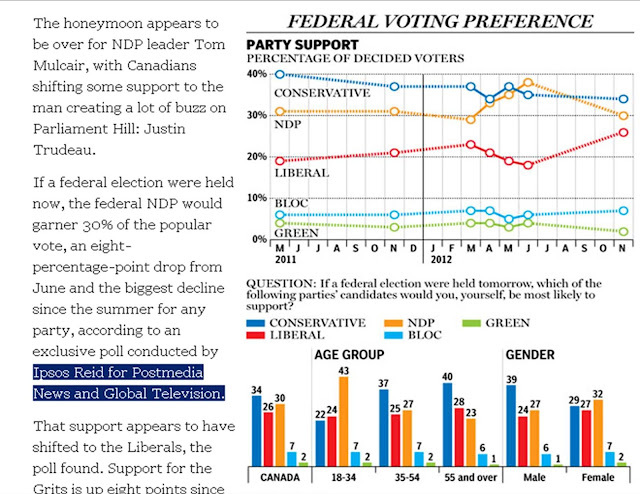 NDP is up 4% since the last federal election -- only 4 points behind Conservatives. What do the the Liberals have to crow about? They are stuck in 3rd place, below Stèphane Dion's election result! Who is crowing? 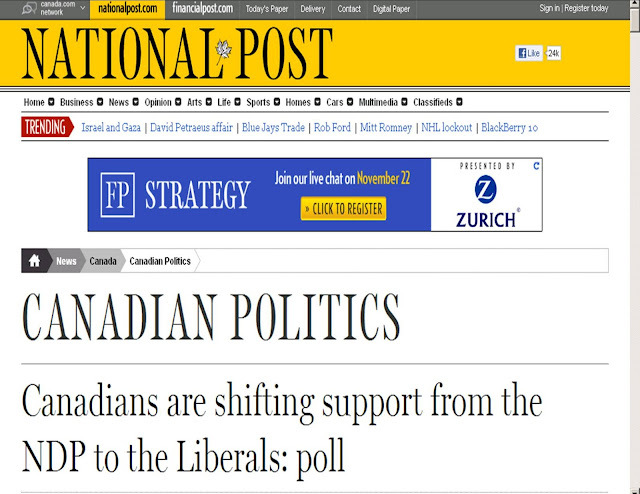 It is a headline and an article from the right wing National Post.